With tens of millions of hopefuls competing for an ever-growing purse, the FIFA eWorld Cup is the ultimate prize in virtual football. Get clued up about the best online bookmakers for FIFA eWorld Cup betting and find out how you can get in on the act and test your skills against the best FIFA players on the planet. There are dozens of online sportsbooks that run betting on FIFA esports, but not all are up to scratch when it comes to regulation, reputation, or reliability. Stick with the sites listed above to ensure you always get great odds from licensed betting operators who know how to look after their punters. What is the FIFA eWorld Cup? In 2004, the Federation Internationale de Football Association teamed up with EA Sports to launch the FIFA Interactive World Cup. A modest venture at first, the tournament now draws millions of competitors and ranks among the biggest virtual sports championships on the planet. The eWorld Cup is all about the long-running FIFA series from Electronic Arts, which has churned out new titles every year since 1993. PlayStation 4 and Xbox One users can register at FUTChampions.com, compete online and qualify for the FIFA Global Series, where a field of literal millions is whittled down to only 32 for the FIFA eWorld Cup Grand Final. The title is decided over three days in a live stadium playoff before an audience of thousands. The group stage is played on day one, the second round and the quarterfinals are completed on day two, and the semifinals and the grand final are decided on day three. The title match pits the top PS4 player against the pick of the Xbox users over two legs, one on each console. The FIFA Global Series is the obvious path to eWorld Cup glory. Sign up at FUTChampions.com and compete in the Weekend League to become a verified player, after which you can enter online qualifiers, regional tournaments and other Global Series events. The more you play, the more points you earn; and the more points you earn, the higher on the Global Series leaderboard you go. Be warned: qualification for the FIFA eWorld Cup might be the most cutthroat business in all of sport, let alone esport. More than 20 million players signed up for the 2018 edition, and that figure is expected to grow in the coming years. Between 2004 and 2016, the FIFA eWorld Cup prize pool remained fixed at US $26,000. Only the top three players received a cut – $20,000 for the winner, $5,000 for the runner-up and $1,000 for third place. In 2017, after Xbox was added as a support platform, the total pool was multiplied more than 100 times to $268,000. England’s Spencer ‘Gorilla’ Ealing took out the top prize at Wembley that year, pocketing a cool $200,000, while runner-up Kai ‘Deto’ Wollin bagged a $40,000 payday. The rest of the top 16 won a share of $68,000, ranging from $5k for third and fourth place to $1k for each of the bottom eight. The 2018 eWorld Cup Grand Final boasted the biggest prize fund to date. Mosaad ‘MSdossary’ Aldossary became $250,000 richer with his victory over Germany’s Stefano Pinna, who landed a $50,000 consolation prize. The other two semi-finalists earned $20,000 each, the losing quarter-finalists made $10,000 each, and the remaining eight in the last 16 pocketed $2,500 apiece for a total kitty of $400,000. It does not take a genius to work out that FIFA prize money is on a steep upward trend. The jump from $26k in 2016 to $400k in 2018 marks a staggering increase of 1,438 per cent in only two years. 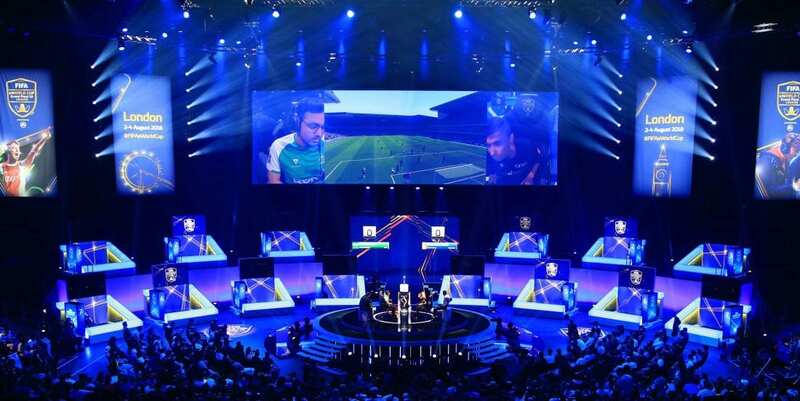 With more and more professional clubs and football leagues launching online gaming divisions worldwide, it won’t be long before the eWorld Cup prize pool cracks the magical $1 million mark and starts overtaking some of the more established esports tournaments.